Since I had heavy hair fall , everyone around me was worried I would have zero hair left at the end of the year but like every other year God proved them wrong lol. After a lot of them recommended me to use Kesh king Hair oil , my aunt, mom and my cousin forced me to give this hair oil a try . Kesh King Ayurvedic Medicinal Oil is claimed to be made from extracts of rare herbs and is a complete Ayurveda formula. Although I stuck to using virgin coconut oil I had to give some other oils a try to stop the dreadful hairfall. When i bought the kesh king oil , I must admit I was very excited at first as i had dreams of it solving my hairfall problem lol. I love all products natural and the hair oil was quite an interesting one, though my hair are extremely long but due to hair fall its super thin and the combination of super long and super thin is not a great sight to the eyes. 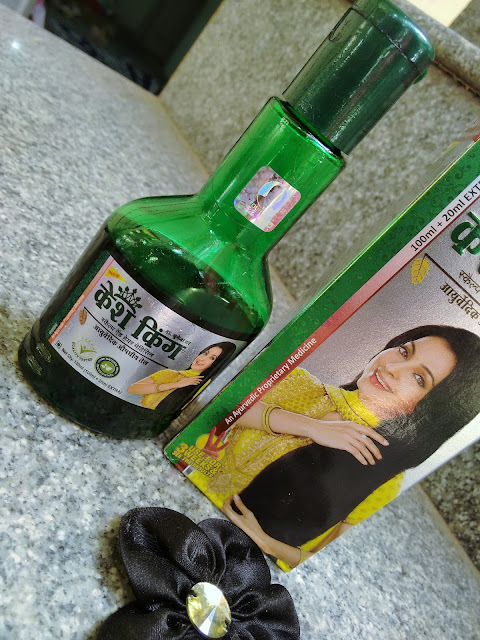 I actually wanted to try Sesa hair oil as I had heard good reviews but I was pressurised to buy keshking and I found Kesh king more on the Ayurvedic side , I ended up buying Kesh king hair oil. After my aunt raved about the very hyped keshking oil I decided to give it a try. Light deep green, runny and lightweight. Emits a strong herbal smell due the presence of rare herbs as mentioned on the bottle. This strong fragrance can be a problem for those with a sensitive nose. 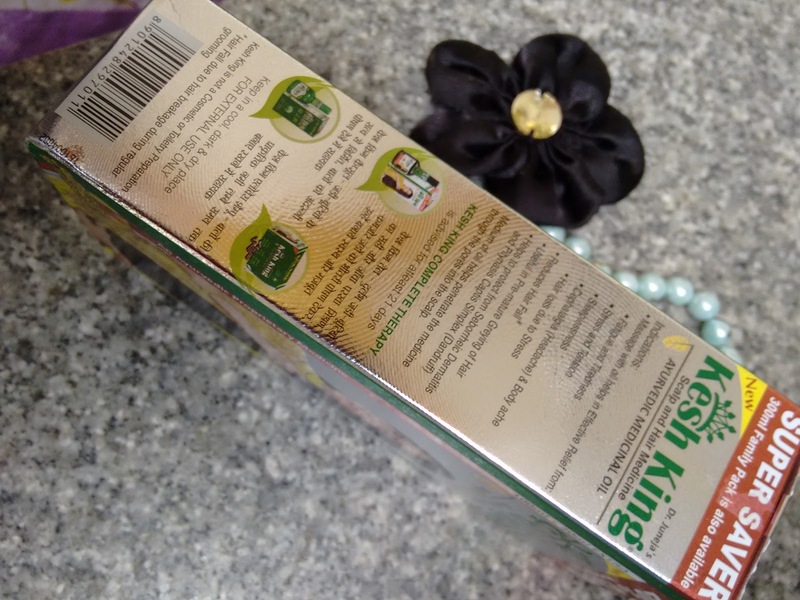 The Kesh king ayurvedic medicinal oil comes in a deep bottle green plastic bottle with long neck and a flip cap which makes it easier for application of oil and sustains from oil spilling. bascally there is nothing great about the packaging except for the fact that is travel friendly. The green bottle is see through and hence you know when the product is completely empty. Ever since I finished my 10th grade my hair has reduced to half its size. From plating my hair into two thick plaits everyday before going to school to staring into my now single thin plait , my hair has had a huge hair fall transformation. No matter how many hair masks and hair oils I tried my hair would not stop falling and everybody would question me about my hair being super thin. Was I worried? hell yes! I tried 'n' no of shampoos and conditioners but the hairfall din't stop it worsened with passing time. That's when I decided I would stop worrying about my hair so much and give time to more pressing issues in my life, after which I noticed I was exaggerating when i said I head heavy hair fall. My hair had stopped falling and I din't know what the cause was and that is when i decided I would make sure the rest of my hair would stay the same an I would make the right choices for my hair starting from that time. This was the time when many of the women in my family recommended me to use KeshKing hair Oil and I thought why not. My aunt personally recommended me telling she herself experienced hair growth and her hair had thickened after regular use of this oil. And I wanted to try this hair oil instantly. That is when i bought this from the nearest drugstore to my place . Read on to know how this fared with me. I used it for about a month and I would be lying if I said it din't show results, but the results were not that great as the product was hyped about. My hairfall had reduced but not completely stopped as the brand claims. My hair din't grow thick but it was smooth every time I washed it off my hair . 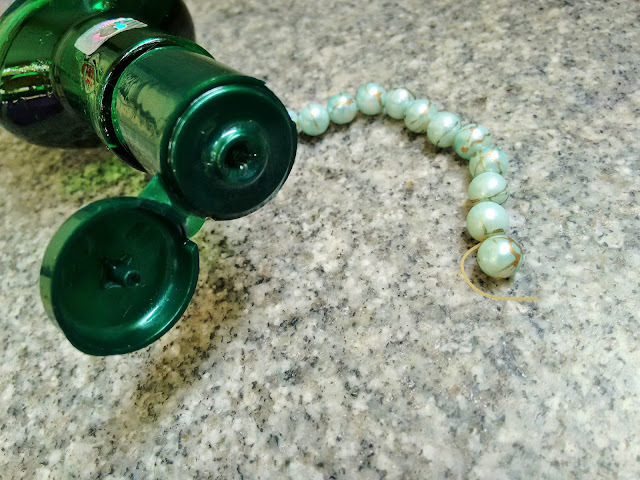 I wanted better results and hence discontinued after one bottle was finished. I also noticed my hair was becoming drier and frizzier day by day. My mom was very persistent I try for another month but I let go of this oil. So yeah, I kind of lost patience after using it for two months as I saw my hair had very little difference. 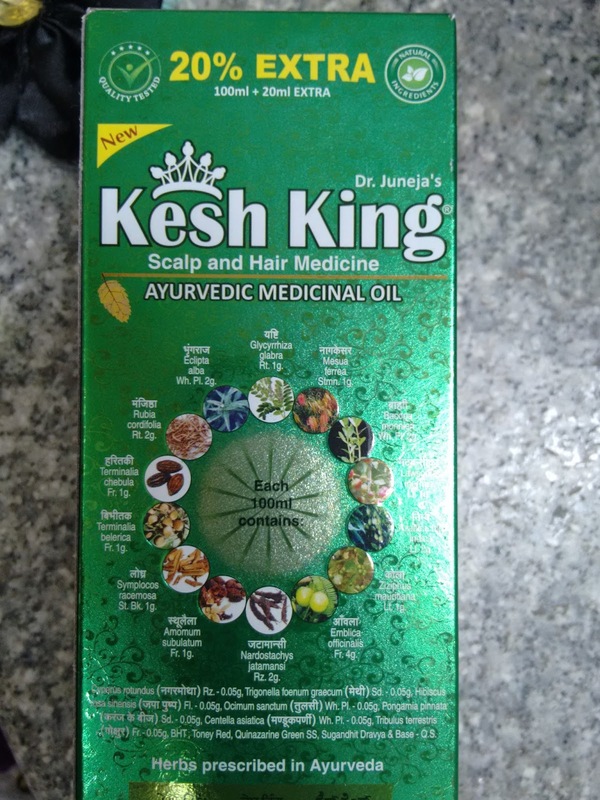 So Is Kesh King oil effective for curing hair loss? Many women in India love this hair oil and its the most purchased hair oil from the drug store. My mom told me it was very famous among women in rural India in the North. After which the mai question arises 'is the kesh king hair oil really effective in curing hair loss and bringing back life to your hair?' Well i din't use it that long as i thought it din't suit me but boy for the one's it suited they have magical hair stories t share with you! The surprising thing was it showed excellent results for my aunt who had severe hairfall as i know and man has she got back all the lovely locks she lost during pregnancy? Hell yes! So yes the oil does work wonders for those who use it religiously. I concluded that the oil when used regularly this thickens your hair and reduces hair fall, mind you not stopping hair fall completely. Many of my relatives when asked how kesh king fared for them, they were all happy about the way it had helped them to get back their happy hair days. One of the woman went on to say she was the most happiest she had used kesh king for her hair were shinier, longer and dense. And another woman I spoke about Kesh king was not so impressed by it, she further went on to say the oil was good until she used it regularly but once her hairfall reduced and she stopped using and went back to using pure coconut oil the hair fall was back and hence she brushed off saying the oil is not that good given the price being so high she would never buy it again. And many men went on to say Kesh king had solved their hair fall problem. After which i was confused as to what extent this oil was effective in reducing and removing hair fall. 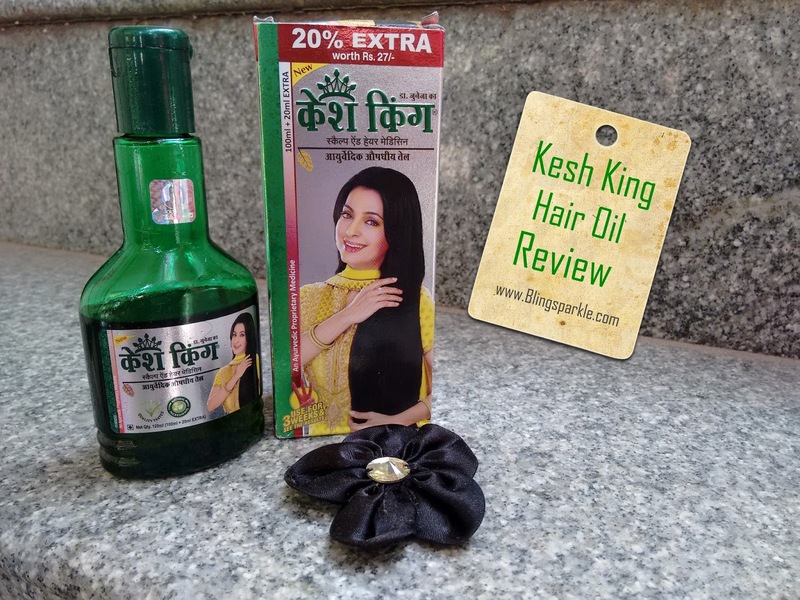 Overall I came to the point that Kesh king was an overpriced hair oil which actually is effective in solving hair fall problems but only if you are true to it, which means you completely follow the massage your hair with kesh king every day and wash off with chemical free shampoo. So yes, those willing to give it a try , please be patient and use it for a couple of months, say 8-9 and you might actually see great results!! A little pricey for the quantity provided. Did not work for me to reduce hair fall. Is sticky in nature and hence cannot be worn to college, work and school. Might not suit all types of hair. 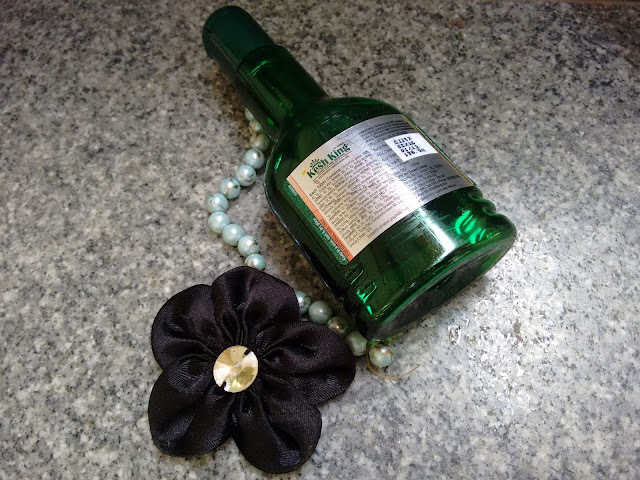 The most effective way to stop hairfall while using kesh king hair oil is to use an aloe vera based or a natural shampoo while taking a shower, plus its best you take vitamin A capsules along with the hair oil to ensure your hair fall is reduced.